Do you want to be amongst the successful people? These people have the fear of Allah (سبحانه و تعالى) inside them. 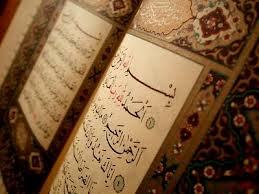 They consider The Holy Qur’an as the Ultimate Book of Guidance. They follow all the five pillars of Islam i.e Testimony of faith, establishment of prayer, payment of zakah, fasting and the performing of Hajj. They also have a staunch belief in the seven articles of faith. These are the beliefs in: the One Lord, Allah (سبحانه و تعالى), His divine scriptures, messengers, angels, predestination, the day of judgement, and resurrection after death. Successful people are ones who are granted the right guidance by Allah (سبحانه و تعالى) and are on the Sirat-al-Mustaqeem (straight path). These people are blessed with success in both the worlds, dunya and hereafter. These people disbelieve in Allah (سبحانه و تعالى) and think they’re na’udhubillah betraying Him. Instead, they’re deceiving themselves because Allah (سبحانه و تعالى) is fully aware of what is concealed in their hearts. This entry was posted in Reflections, Summer Camp and tagged Conscious, Islam, Liar, Quran, Success, Successful. Bookmark the permalink. 1 Response to Do you want to be amongst the successful people?